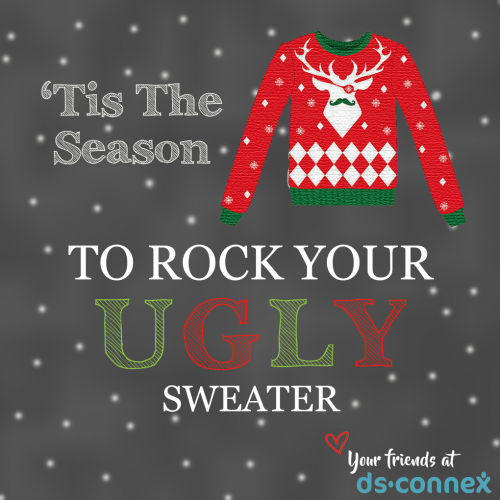 DS-Connex Ugly Sweater Contest - Win something for yourself and your 2018 team! Ugly Sweater Contest – Win something for yourself and your 2018 team! Team captains are often the driving force behind successful walk events; our research shows that 87% of walk event funds are raised by team captains. We encourage team captains to plan year round in order to maximize their fundraising efforts during walk season. To that end, we are happy to announce our first annual Team Captain Ugly Sweater Contest! Beginning Saturday, 11/25, we invite team captains to send in photos of their family, friends, or pets wearing their ugly holiday sweaters to contests@ds-connex.org. We will collect photos through Wednesday, 12/13 and post all of the photos in an album on our Facebook page. 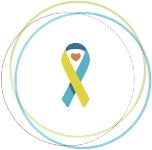 On Thursday, 12/14, a winner will be randomly selected to win a $50 Amazon e-gift card as well as a $100 donation to their 2018 walk team! We hope that this will be a fun way to keep your team members engaged in your fundraising efforts while you showcase all of your holiday spirit. We can’t wait to see your photos! Contest notes: Please include your name, city, and walk event name with your photo submission. When submitting entries using a mobile device, please ensure that “ds-connex” is not autocorrected (we’d hate to miss out on receiving your entry!). Randomly selected entries will be used as content for the ds-connex social media platforms beginning 11/27. By entering into the contest, you are granting ds-connex permission to edit your submission for grammar and/or length, and use the submitted photo and story in ds-connex social media posts and website. The winner will receive the Amazon e-gift card at the end of Team Captain Ugly Sweater Contest, and the team donation will be posted to your walk event’s fundraising site as soon as it opens.